Well, of course the answer is, “No.” But, time and time again, the belief that “Atheism is a religion too” is reasserted. Let’s break this down, shall we? First of all, the etymology of the word. The word is composed of two parts: “a-” and “theism”. “A-” meaning “not” or “against” or “without” (all of which would work in this circumstance), and “theism” meaning a belief in a God or gods. Therefore, atheism means without a belief in God or gods. However, this is generally not enough for people who seriously believe that atheism is a religion, just as Christianity or Islam is a religion. Fair enough. I’ll provide more evidence. Not all religions have holy books, this is true; however, it tends to be the religious people associated with the Abrahamic religions (all of which have holy books), who make the claim that atheism is a religion. 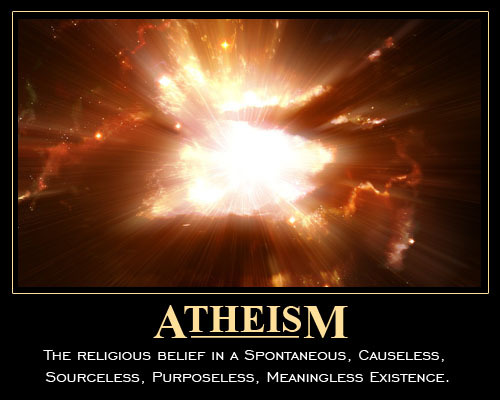 Needless to say, there is no dogma of atheism. There is no holy book, or even a book that atheists should follow. There are many kinds of atheists, some who believe in some forms of spirituality, some who believe in some superstitions, some who believe in conspiracy theories, and the some who believe only in things based on scientific evidence (I align myself in the last category). Christians, on the contrary, are not allowed to follow many superstitions because their holy book prohibits these beliefs. There are many kinds of Christians, but they all must base their beliefs on the Bible, otherwise, they are no longer a Christian. There is no “Bible” or “Koran” for atheists to follow. Further, there are no rituals or gestures or duties of an atheist. With the example of Christianity, rituals include going to church or spreading the gospel. Gestures include making the cross for good luck. Duties include reading the bible, defending Christianity, and aligning your life in accordance with the Bible. Now, just because you don’t do any of these aforementioned examples, does not prove your point. These are merely examples. You will probably have your own rituals, gestures or duties in your interpretation of Christianity. If you have none of these, I question whether you are actually a true Christian. In other words, if there’s nothing you need to do to be a Christian, then I could easily call myself a Christian too. This is a very weak form of Christianity, if this is your position. Not enough evidence? Fine. Let’s use logic. I claim that I don’t believe in any religious belief. A believer may say, “But you BELIEVE in atheism.” Well, let me blow your minds right now. Get ready. Here it comes. I can respond that, “Whatever you think is ‘atheism as a religious belief,’ well, I don’t believe in that either. I believe in NO religious belief.” You may try to come back with, “Your unbelief is a kind of belief!” which is an incredibly contradictory statement. Ok, if you are allowed to make statements of this sort, then so am I. I can respond that, “I don’t believe in the unbelief of belief and I don’t believe in any belief.” We are starting to see a pattern here. A nonsensical verbal repartee that will go on ad infinitum. This is not the way to win an argument. This mode of reasoning can never prove atheism to be a religion. Generally, atheists are unwilling to respond to nonsense with nonsense; however, I feel it is useful here to demonstrate what believers are doing when they state that unbelief is a form of belief. 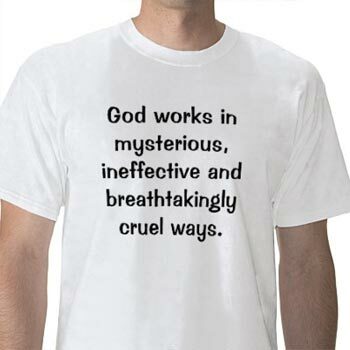 Why then, do people persist in claiming that atheism is a religion? My guess is because they know, deep-down, that having beliefs founded on faith is a weak foundation. As a result, these people want to believe that everyone has a weak foundation for their beliefs. If this is true, it is a lot of wasted energy on behalf of the people making the “atheism is a religion” claim. They should be more humble and admit that other people might have a stronger foundation for their beliefs, and spend their energy in more productive ways.